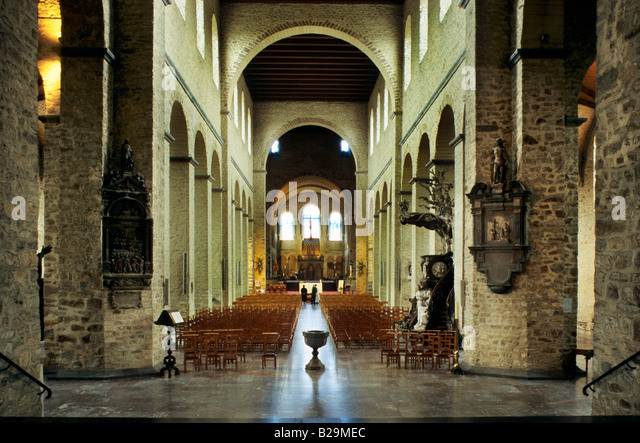 Collegial Church of St. Gertrude, Nivelles, Belgium. PHOTOGRAPHS I FORGOT I HAD: INTERNATIONAL. With brief explanations. 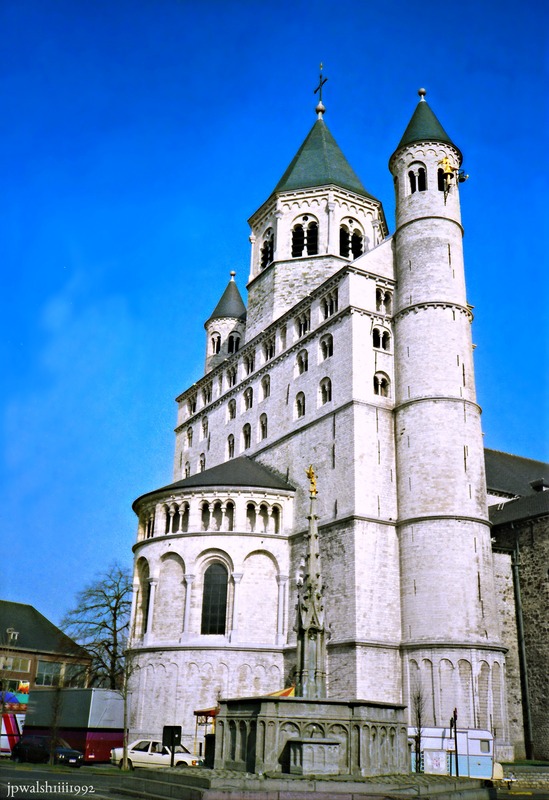 The Collegial Church of St. Gertrude, Nivelles, Belgium – March 1, 1992. The westwork’s appearance is the result of a reconstruction finished in 1984 following severe damage during World War II from bombing by the German Luftwaffe in May 1940. The church was built in the 11th century to serve a Benedictine abbey of cloistered nuns whose first abbess was St. Gertrude of Nivelles. This dramatic church is classified a major European Heritage site and remains one of the finest examples of the Romanesque style in Belgium. Its Romanesque crypt is one of the largest of its kind in Europe where Merovingian and Carolingian tombs have been found. 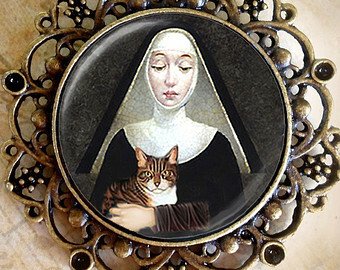 St. Gertrude of Nivelles, patron saint of cats! This entry was posted in My Photography, PHOTOGRAPHS I FORGOT I HAD: INTERNATIONAL. and tagged Collegial Church of St. Gertrude Nivelles Belgium, European heritage site., St. Gertrude of Nivelles; patron saint of cats; on April 17, 2018 by jwalsh2013.